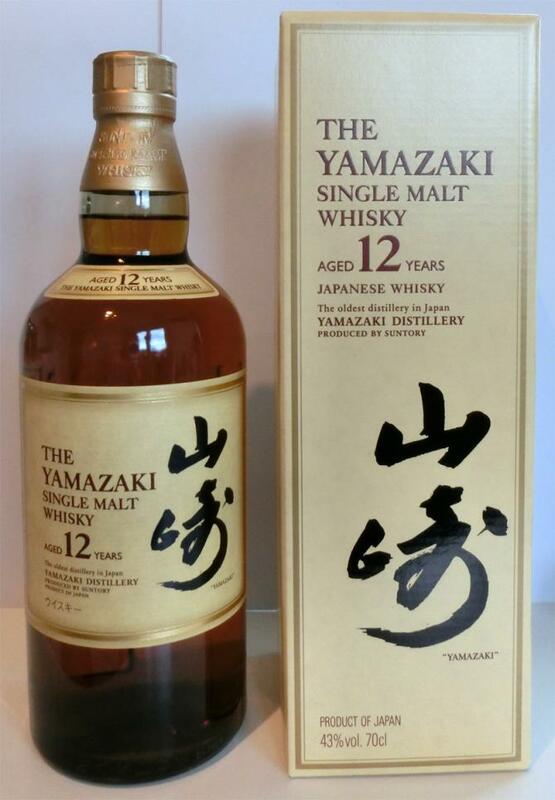 Japanese Single Malts with solid age statement are increasingly getting more expensive and hard to find. 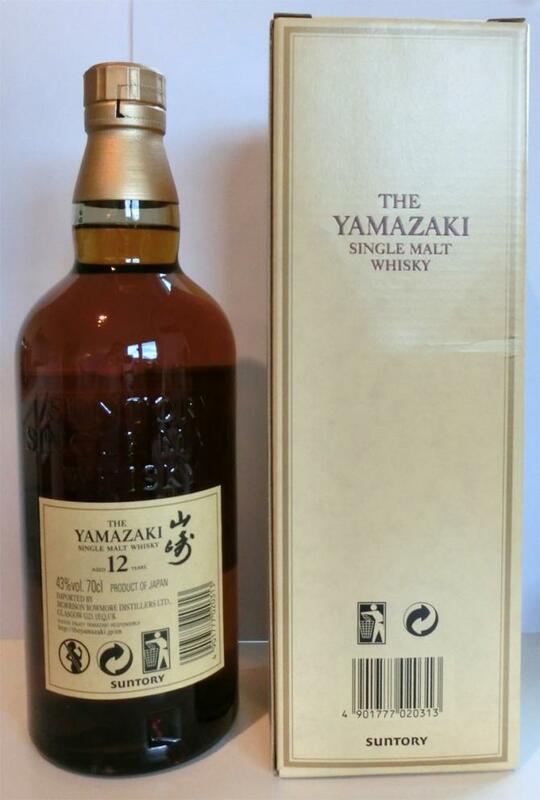 However, the superb Yamazaki 12 from the oldest distillery in Japan is worth the effort! The nose is fruity sweet and heavy with overripe grapes and blackberries, raisins, nuts and strong vanilla notes. Tastewise, a well-balanced and full-bodied arrival is followed by mild spiciness before the oak complexity kicks in. With its lasting, substantial and slightly dry finish, Mizunara oak maturation gives this malt a delicate and very distinct aftertaste. A piece of art! Spicy, fruity and delicious. This blindsample exudes a variety of flavors and is harmoniously balanced. Great malt, I like it! Blind tasting: Fruity notes rise immediately after pouring out of the glass. Juicy pears and sour apples mingle with fruity peaches and apricots, subtly tart fruit notes make me think of fermented fruit. A few drops of honey drip on the pieces of fruit, a hint of vanilla breaks through malty sweetness. Slowly, nuts and tart wood aromas are noticeable, overripe bananas are added. Syrup-like streaks slowly return to the glass while the "fruit salad" becomes more and more fruity and intense. A few drops of lemon and a touch of grapefruit make the fruit note look sour. Tart wood notes dominate the first sip, sweet honey and malt immediately follow. Tart and spicy wood elements run creamy over the tongue, butter melts in the mouth. Slowly, a subtle sharpness sets in. The sharpness is intensified and woody sharpness is mixed with a pinch of black pepper. Tart and dry wood notes exude their spicy notes, dark fruit flavors are in the background, the sharpness returns and makes the tongue glow. Tart fruit and wood flavors bounce off each other in the finish. The wooden sharpness is still on the tongue or fills the entire mouth area with chubby heat. A touch of old and dry walnut rises from the sharpness, tart and dark wood notes come to light. Dried berries and fruits give the finish a special spice. Creamy and with a subtle butter note, the finish sounds slow. 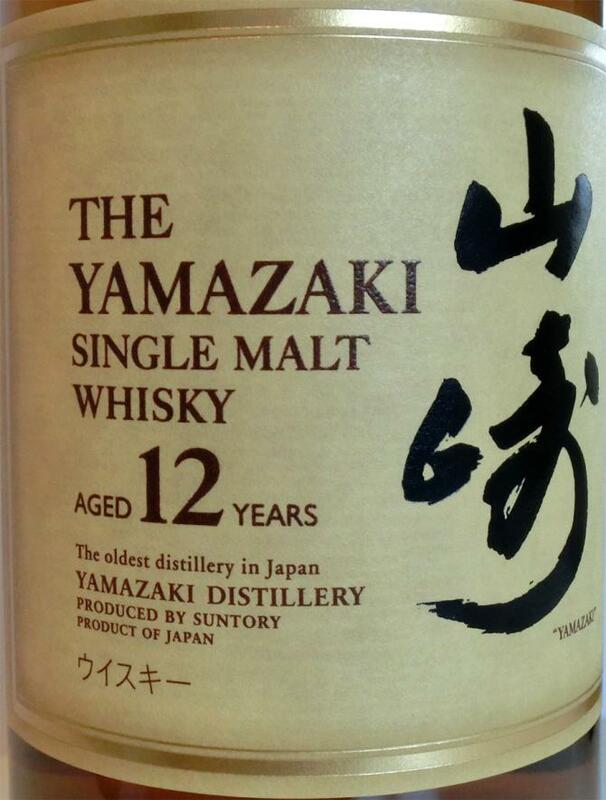 Far away the 18yo, it's full different and thinner flavors I think. Vanilla, apple and pear, honey, citruses, glue, oak and earth. Ripe fruits, dry oak, white pepper, cinnamon and citruses. With an interesting distillate and use of first-fill barrels with a sense of proportion you have managed to get a more than solid 12 year old, for a euphoric rating, however, I miss it fragrant and that is not only due to the 43%. Is developing strongly, from lemon ice cream, cough syrup, quince marmalade, cinnamon and chlorinated water over lime blossom, wet earth and freshly sawn hardwood to old oak, thyme and malt beer. Here he comes to rest, almost a bit boring. Beeswax, lavender. Sweet, juicy, thyme, cinnamon, tree juice, slightly fragrant on the chest. Trockenaprikose. Again the chlorine note. Old half-timbered house with open ground. Medium long, waxy, fir resin. Vanilla, bitumen. Great whisky with unfortunately a not so good PLV. Fruit and vanilla, balanced and mild, apricots, a bit of mango, with a few drops of honey. Almost no alcohol noticeable, the oak also holds back very much. Absolutely round, but also without corners and edges, ie not really complex. Hardly bitterness and very pleasant to drink. The fruits of the nosing are not so clear anymore. Long and hardly bitter, it lacks a bit of character, for me a bit too shallow. 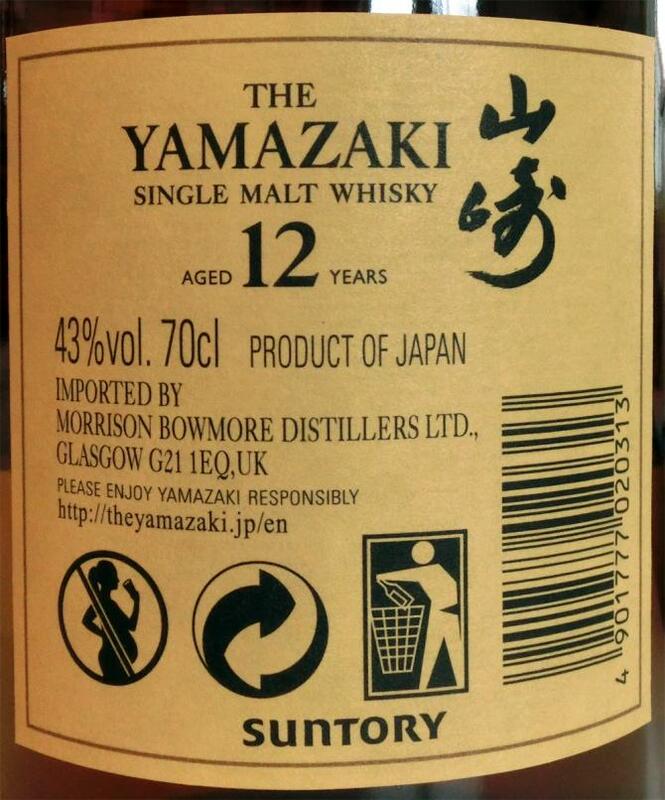 Better this time than I had before, a newly opened bottle, different to modern Speyside products, more interesting. Orange and light smoke, some sipirits, after a sip, more ripe appl. Sour apple, quite smoky, liquorice, golden apple.